Four pieces and edited by Astor Piazzolla (1921-1992). 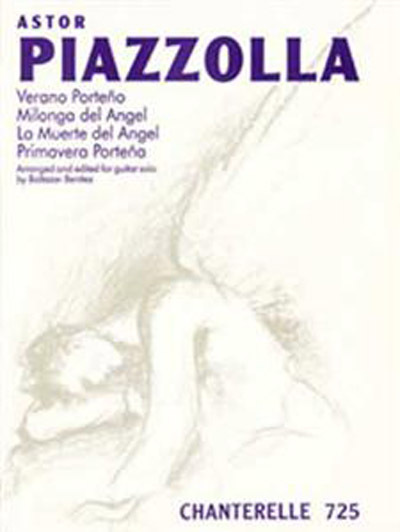 Titles include: Verano Porteno; Milonga del Angel; La Muerte del Angel; and Primavera Portena. Please make this book available. I'm in an urgent need for it. I'm also buying 4 other books from this site. Kindly help me. I shall be grateful to you. At this time Piazzolla | Verano Porteno and Three Other Pieces has been discontinued. Sorry about that.